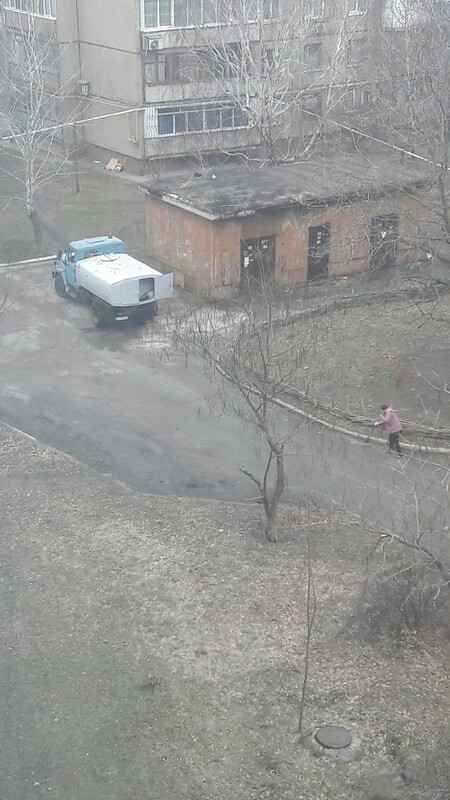 The Donetsk Filtration Station (DFS) became the focal point of the war in the Donbas this week after Ukrainian forces gained full control of the water treatment plant. The DFS, which supplies water to tens of thousands in Avdiivka and Yasynuvata, has suffered many setbacks and interruptions to service throughout the war. These incidents have been caused by both shelling to the plant itself, and damage to nearby infrastructure, such as the electrical lines that supply power to the plant. 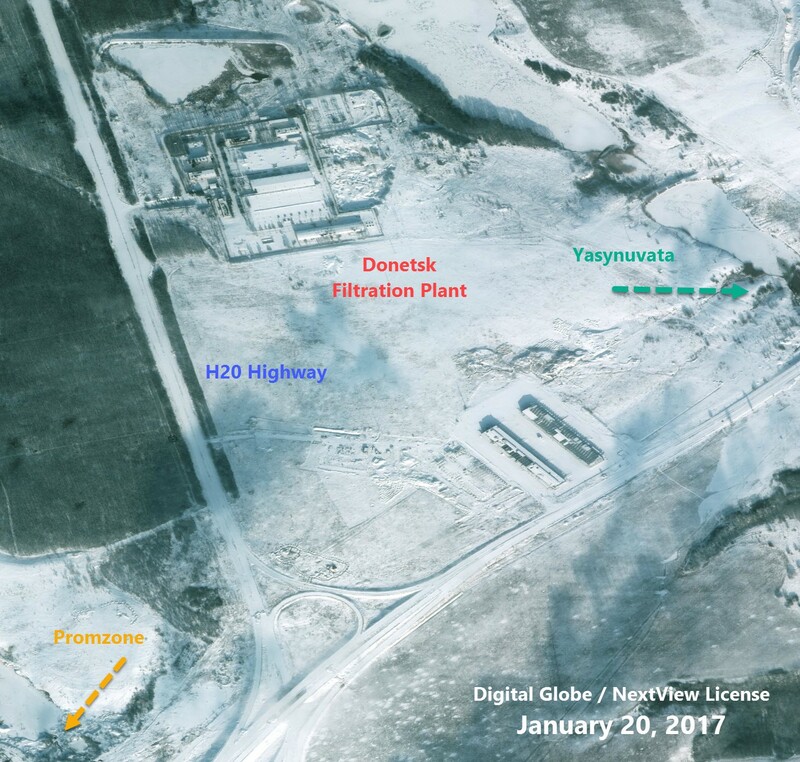 Much of the escalation of violence near Avdiivka in late January and early February was centered around Kruta Balka, located between government-held Avdiivka and Russian/separatist-held Yasynuvata. The DFS is located in this area, precariously near the front line. In previous DFRLab articles, we covered the fighting that took place near the DFS, including the analysis below of a hotspot of fighting in late January/early February. Over the last week, a number of incidents have highlighted the importance of the DFS not only to the civilians in the area who need the water it provides, but also to the warring military forces. On March 3, the OSCE SMM to Ukraine launched a drone near the DFS, but soon after, it was downed with small arms fire. The monitors did not assign blame for the drone’s downing, and both sides have blamed each other for the incident. The OSCE SMM to Ukraine released a spot report summarizing the incident. Also on 3 March the SMM was about 3km west of “DPR”-controlled Yasynuvata (16km north-east of Donetsk). At 08:40 the SMM launched a mini unmanned aerial vehicle (UAV) over highway H-20 and road M-04 near the Donetsk Water Filtration Station, to gather information on the security situation in the area in order to facilitate access for repair work. The Joint Centre for Control and Co-ordination (JCCC) had facilitated security guarantees, and a Russian Federation officer of the JCCC, as well as “DPR” members and media were present at the launch site. Six minutes later, while the UAV was flying about 1.2km south-west of the patrol’s position and about 1km south-east of the Water Filtration Station, the SMM decided to recall the UAV due to small-arms fire assessed as occurring at a south-south-westerly direction. While flying back, at 08:46, the UAV, out of sight of the SMM, started drifting in an easterly direction, although there was no wind, and spinning without responding to the operator’s commands. The operator performed forced landing of the UAV about 1km south-west of the patrol’s position, but after the UAV landed the connection with it was lost. The time given is almost exactly an hour off from the separatists’ report, either indicating that their report was incorrect, or they were basing their reports on the Moscow time zone, one hour ahead of Kyiv time. There are no available video or photographic materials that indicate where the fire that hit the drone came from, making this spot report our only neutral source of information regarding the incident. We can locate the approximate positions of the OSCE patrol when they launched the drone by their statements of being “about 3km west” of Yasynuvata, and launching the drone “over highway H-20 and road M-04 near the Donetsk Water Filtration Station.” They also described the drone as flying “1.2km southwest of the patrol’s position” and “about 1km southeast of the Water Filtration Station,” providing enough information to provide an approximate location for where the drone was hit by fire. An estimate based on these distances puts the patrol’s location at around 48.132596, 37.828523, and the drone’s location at around 48.125117, 37.815821. This estimate is consistent with the reference in the DNR statement to the “Gospodar” market, which according to Wikimapia is situated at 48.126111, 37.8125. Small arms fire came from a “south-south-westerly direction,” but with no indication of the distance. The area to the south-southwest of our approximate drone location would be between separatist-held Kashtanove and the H20 and M04 highways. This is an area controlled by DNR forces; however, there is a large margin of error from determining the precise spot where the fire came from. Below, a map courtesy of LiveUAMap.com shows the areas controlled by separatist forces (shaded red) and our approximate location for the downed OSCE drone (green icon). Clearly, south-southwest of this green icon is separatist-held territory. If the spot report misjudged the exact direction and the fire actually came from further west, such as west-southwest, this would indicate that Ukrainian forces near the Promzona were the likely culprits. With the given direction of south-southwest, it seems likely that separatist forces are to blame, but there is not enough information to provide a definitive indication which side downed the drone, unless a video or new reports emerge around the incident. Fighting near the DFS has not only harmed the infrastructure around the plant, but even the plant itself. Multiple times, the DFS has been directly hit by shells, including 82mm mortar rounds which struck Pressure Station 6, in the northeastern part of the station. 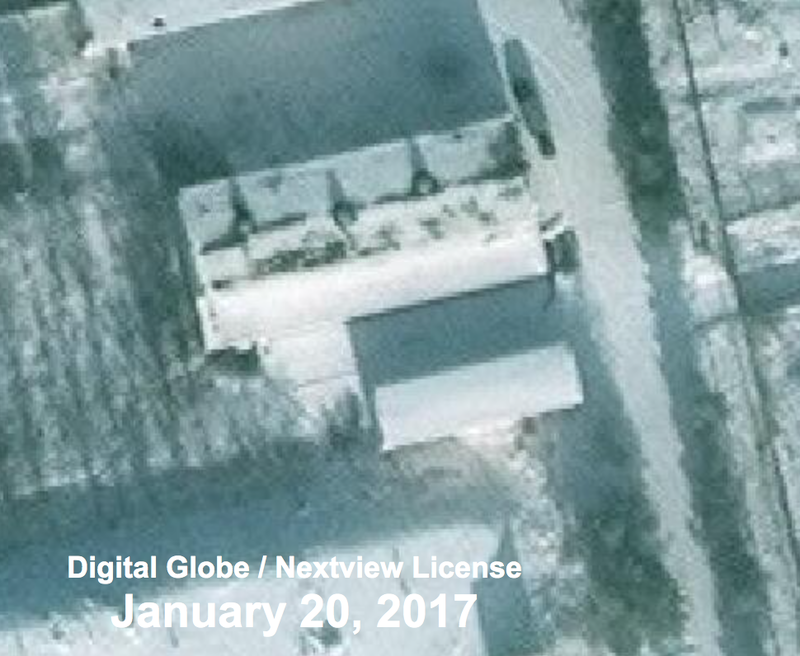 Satellite imagery from Digital Globe/Nextview taken on March 4, 2017 shows that this damage is still present at the station. Satellite imagery from January 20, 2017 shows that this damage was not yet present. Incidents such as this have led to severe and frequent disruptions to water services to nearby civilians. Locals in Avdiivka and Yasynuvata often turn to public groups online to assess the situation and know where to find humanitarian aid in the area. 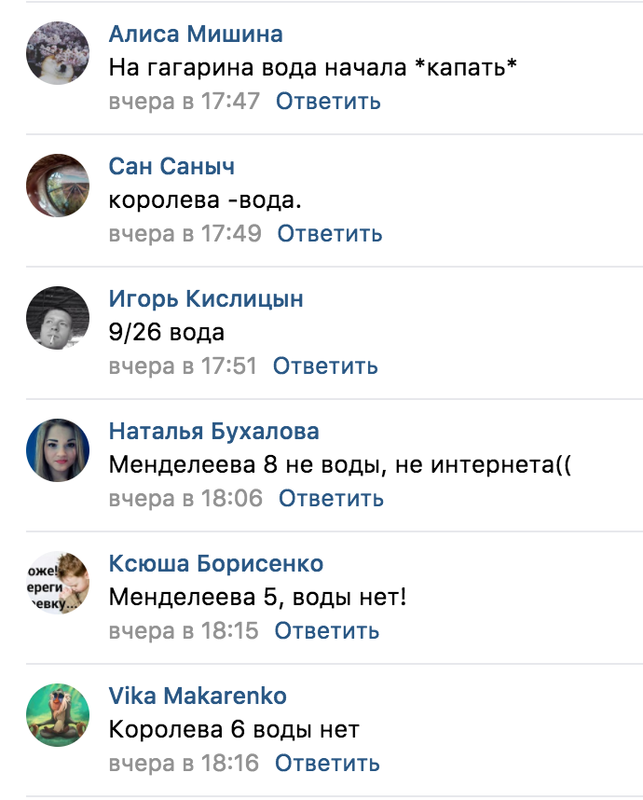 In the Vkontakte group “Avdiivka — My Homeland,” locals would share information on where in the city water was still running. On Gagarina, water has started to drip. At (house) 9/(apartment) 26 — water. Mendeleyeva 5 — no water! Water services have been restored to Avdiivka after repairs to the DFS, but with the shifting frontlines near the DFS, there is no reason to believe that there will not be future service disruptions. 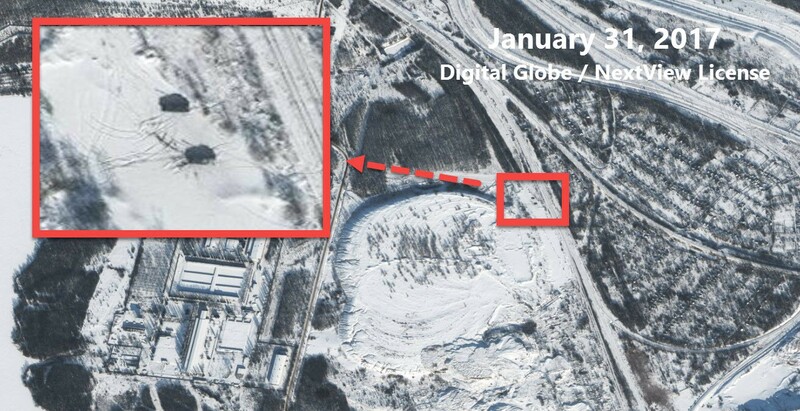 Furthermore, there is the risk of other water treatment plants being hit by artillery fire — a recent DFRLab report revealed multiple separatist artillery positions precariously close to a water treatment plant in Yasynuvata, putting the plant in danger of Ukrainian artillery fire.